British Sweater Hunt - John Tulloch Where Are You? Can anyone help? 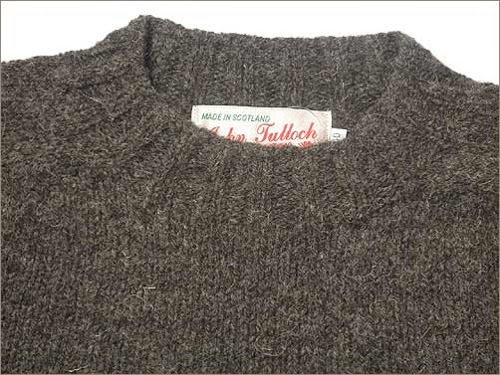 I've had a couple of enquiries from Anglo-American readers asking if I know what happened to the Scottish sweater brand John Tulloch. My feeble research has revealed that the label is still available in Japan. Under the auspices of whom I know not. They seem to refer to them as 'shaggy dog' sweaters over there. I think I know what they mean. They look a good wintery sweater. One you'd put a smooth two-fold cotton shirt underneath to keep the scratchiness at bay. I know you, but maybe you shouldn't get too bogged down in capturing another obscure label to add to your collection. 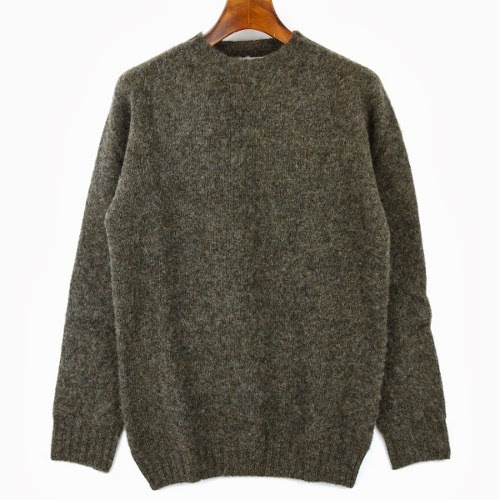 There are plenty of coarse sweater alternatives to be found around the British Isles. We're looking for natural colours and knits designed for warmth in a wet and wind-swept landscape. Anderson and Co of Shetland we've featured before and are good for Shetlands and Fair Isles. Hand knit or knitted on home knitting machines in Shetland. 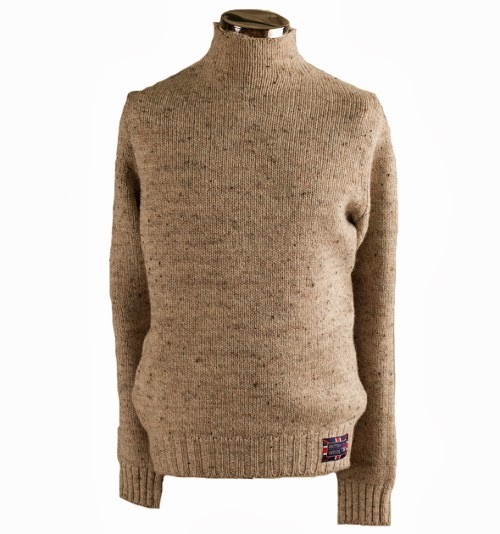 And Hawick Knitwear do a grown-on-neck sweater in guaranteed coarse yet comfortable, indestructible British wool (below). That sort of neck does well with a button-down collared shirt of adequate depth, or maybe tuck a silk scarf in there. Over to Ireland now. 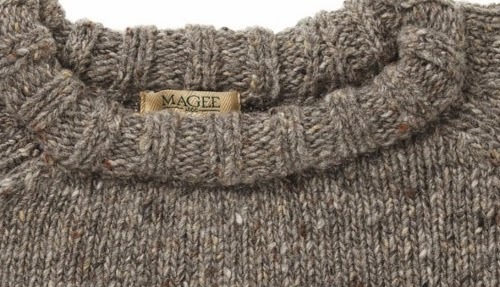 Our respected friends at Magee do a Donegal sweater (below). I think they're right when they say it's perfect for chilly winter days. 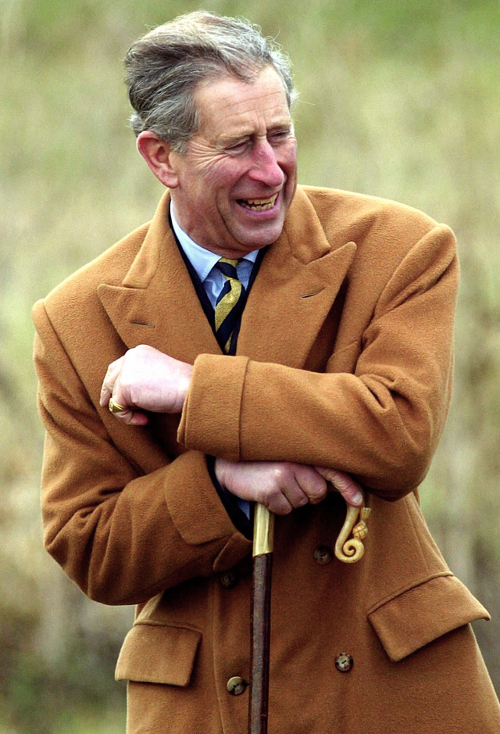 Tweedy's Request: If you are a thick sweater knitted from coarse wool in the British Isles, get in touch. We'd like to feature you. And we'd be happy to road test you too. I believe the word you're searching for is "coarse," of course. 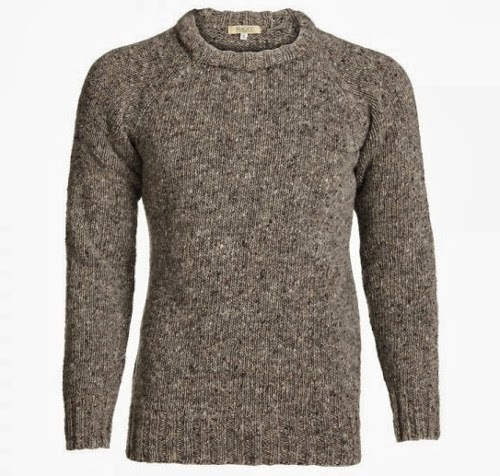 Got one of the Hawick grown-on-neck sweaters this week from a reasonably priced Amazon seller - it's a lovely jumper and the wool is quite soft so no scratchiness even with a relatively thin shirt underneath. Good-oh Matthew. Just in time for Autumn. Hi, I have a john tulloch sweater. It is a cardigan type, a nice sage green, with metal buttons, and no defects. if you would like to see it or purchase it, email me at greenthumb.jacquelyn@gmail.com.